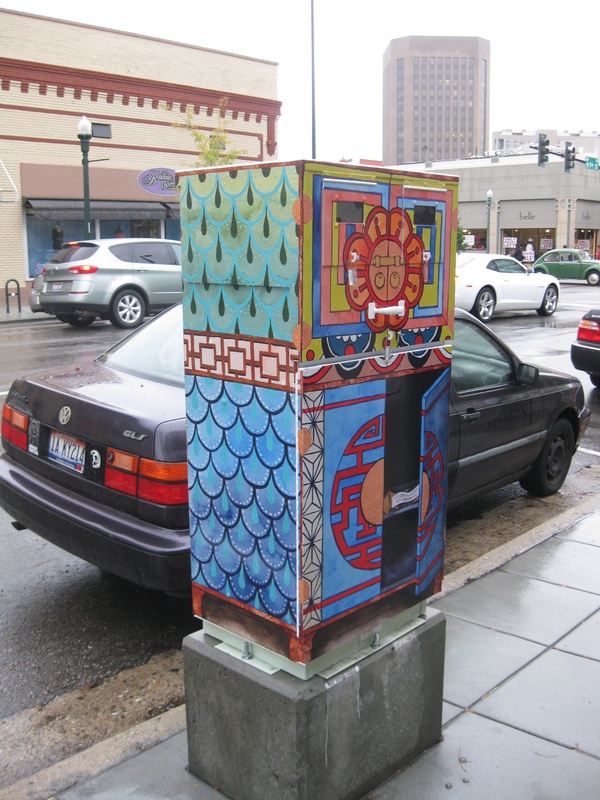 My first experience with the process of creating a work of public art was with this traffic box in downtown Boise, Idaho. 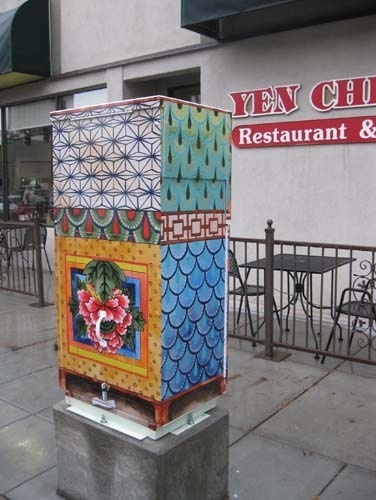 I knew its location was to be adjacent to the Yen Ching restaurant and so I designed it to look like a Chinese cabinet open and revealing a fortune to passersby on the sidwalk. 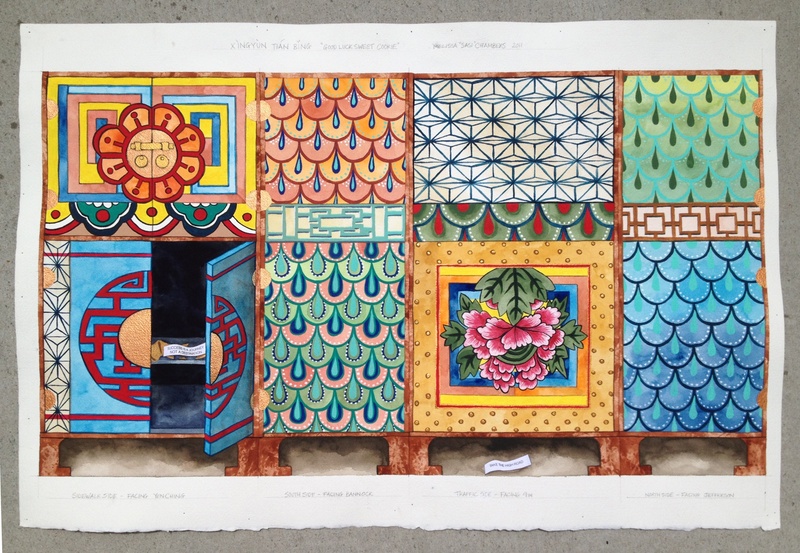 I painted a watercolor painting, to scale, flattened with the sides in the order they would wrap around the traffic box. 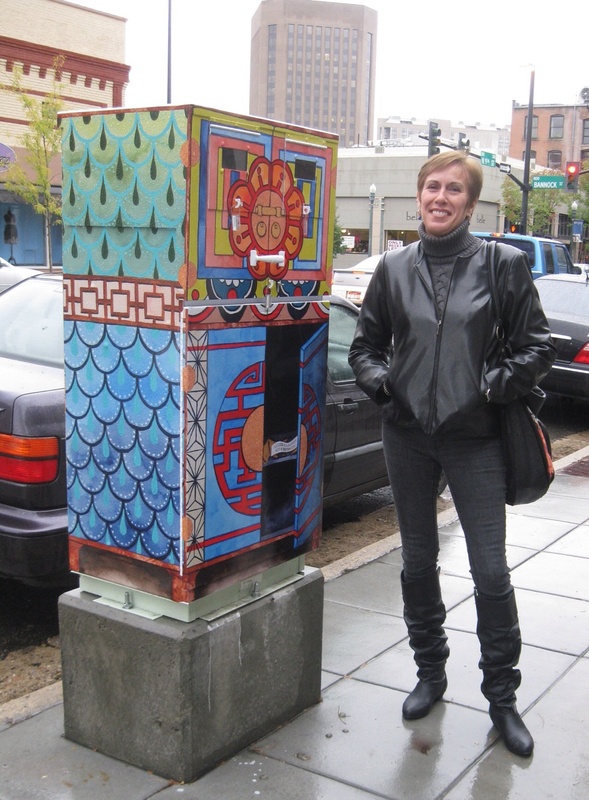 The traffic boxes were revealed on a rainy evening in October, 2011, and there I am standing proudly next to mine: “Good Luck Sweet Cookie”!